Delicious & Simple finger food! 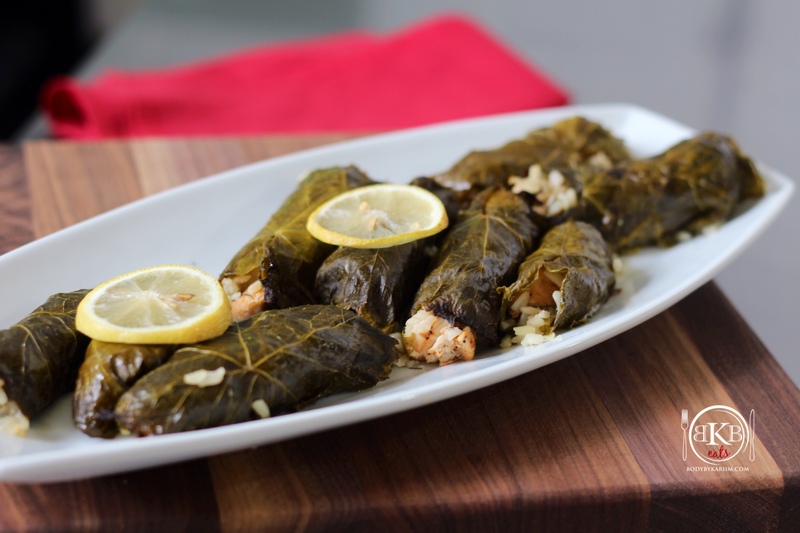 Our grape leaves are stuffed with seasoned chicken breast and brown rice – the perfect combination of a complex carb & protein. Can be served as a main meal or a quick snack. Grape Leaves once taken out of the jar. 1. Boil brown rice. Cook until done. 2. While rice is boiling, prepare chicken breast. Heat grill pan to Med- High heat. Slice chicken breast in half to thin them. Place chicken breast in a large bowl and coat with 2 table spoons of olive oil, 2 pinches of Kosher salt and fresh ground black pepper. 3. Once grill pan is hot, begin to grill chicken breast 4-6 minutes each side. Remove from grill pan and place on cutting board to cool. 4. Grab a sautéing pan and coat with 1 tablespoon of olive oil. Heat pan to Med-High heat. 5. Add onions, garlic, & scallions. Saute until tender. 6. Check rice, if finished – pour rice from the pot it is in – into a large bowl. 7. When chicken breast has cooled, begin to chop into to small pieces. 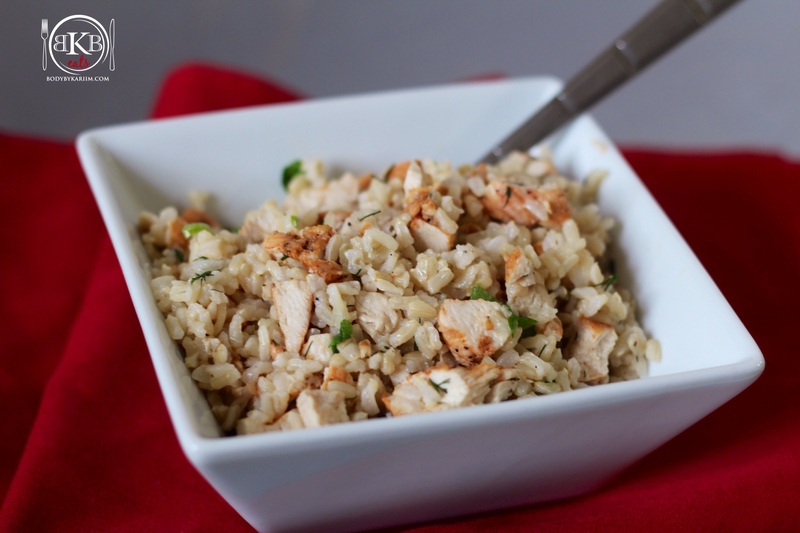 Put sliced chicken breast in the bowl with the rice. 8. Add sautéed onions, scallions, garlic and chicken broth, slice lemon and squeeze 1/2 of the juice onto mixture…..Stir all ingredients together and add fresh dill – stir again. 9. 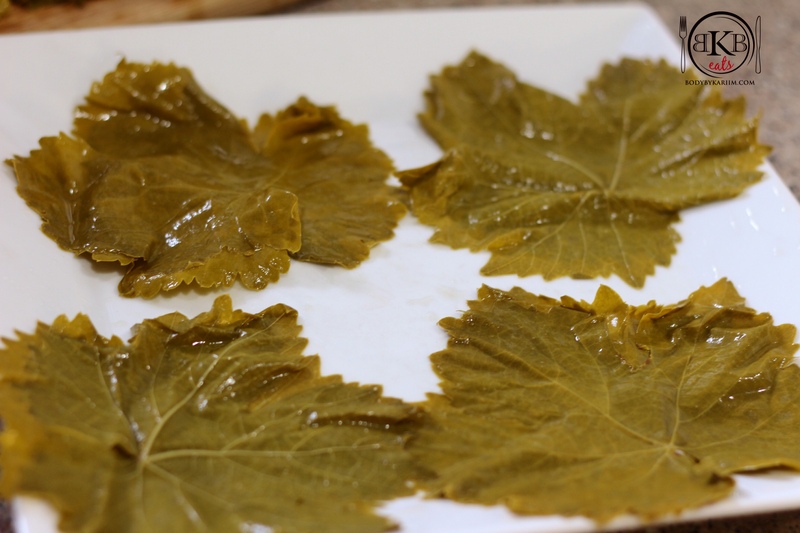 Lay grape leaves on a plate ( a few at a time). 10.One leaf at a time, begin to add 2 tablespoons of ingredients from the bowl to each leaf. Fold both sides of the leaf towards the center until it reaches the top of the leaf. Place on baking sheet (parchment paper). 11. Continue until you have the amount of folded grape leaves of your liking. 12. Slice remaining lemon and place on top of folded grape leaves for garnish. 13. Cover with foil and bake for 40 minutes. 14. Remove from oven and sit aside to cool. May be served warm or at room temperature.